All images Courtesty of The Texas Collection, Baylor University. 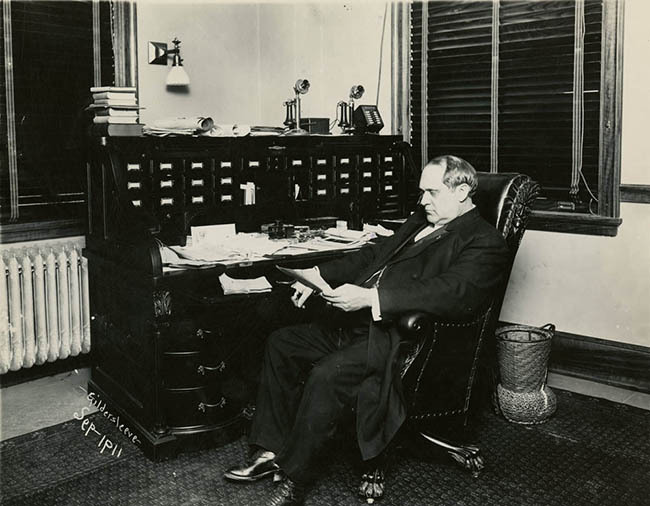 In 1909, Artemas Roberts, president of the newly formed Amicable Life Insurance Company(ALICO), desired to publicize his company in an innovative way. He wanted to house his business out of a building that embodied the strength and stability his firm offered clients. The owners of First National Bank, located at Fifth Street and Austin Avenue, also served as members of the board of trustees for the Amicable Life Insurance Company. The bank owners sold their lot to ALICO. 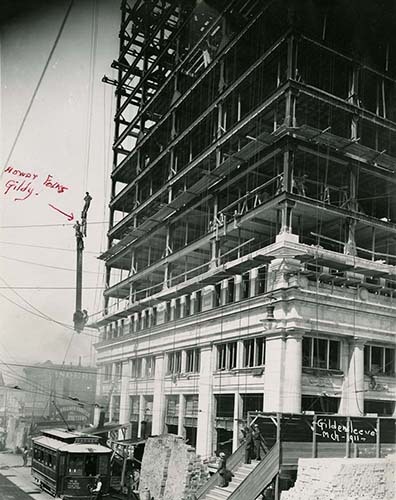 In 1910, the bank was torn down to break ground for the new building. Originally, Roberts planned to build an eight-story structure. 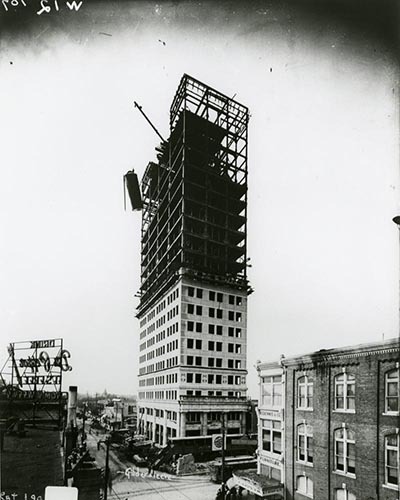 Yet when he heard the Adolphus Hotel in Dallas planned a taller building, Roberts increased the number of floors to seventeen. The hotel also increased its planned height, and Roberts ultimately decided to construct a twenty-two-story building. Architects Sanguinet & Staats of Fort Worth and Roy E. Lane of Waco sought to realize Roberts’ vision of strength by creating a nearly indestructible building. Construction began by digging down forty feet to reach bedrock in order to lay the foundation. Thirty teams of men, mules, and wagons excavated the dirt. 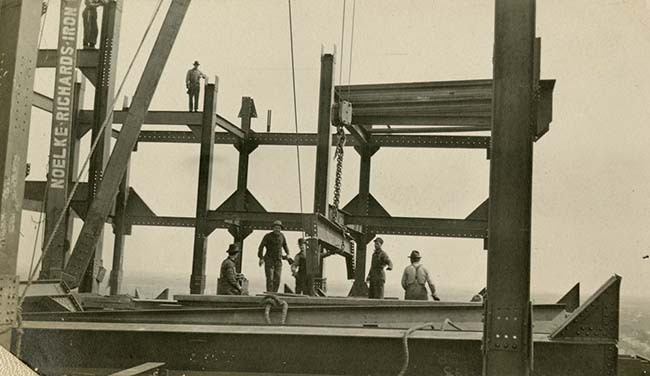 Out of this pit sprang steel beams, shipped in from New York City, which formed the frame. At this time, most buildings were still concrete and masonry structures. This massive and innovative construction effort attracted large crowds of onlookers. Many were skeptical about Roberts’ skyscraper, believing it to be a waste of money. The building cost around $755,000, which today is equal to approximately $17.2 million. The completion of the building in 1911 silenced any remaining skeptics. The Waco Tribune-Herald described it as “the sensation of the Southwest" and the “biggest thing that ever happened in Waco." 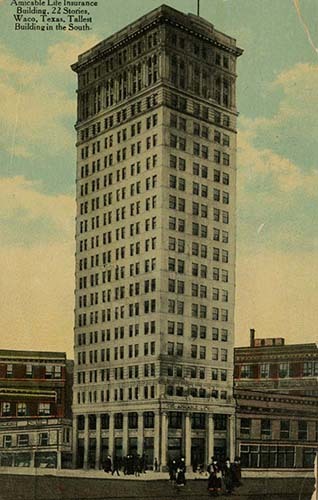 The building stood 303 feet tall from the ground to the tip of its flagpole, making the Amicable building the tallest building west of the Mississippi and south of the Mason-Dixie line. It held this honor until 1929. Three high-speed elevators, an ornate Roman gold interior, and the polished granite outer façade at the base of the building added to its allure. It was the only building in the world at that time that could supply its own utilities: the Amicable building boasted an artesian well in the basement, an electrical plant, and shallow oil wells outside the city for the provision of fuel. 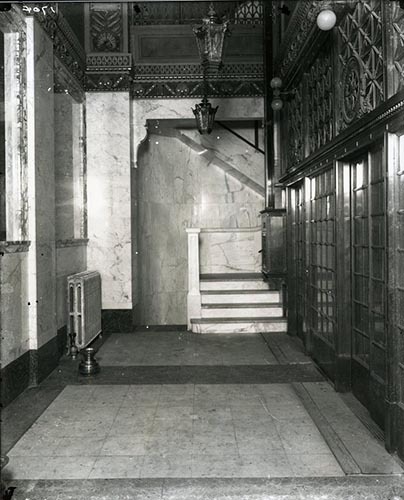 The first few floors of the building housed the First National Bank. 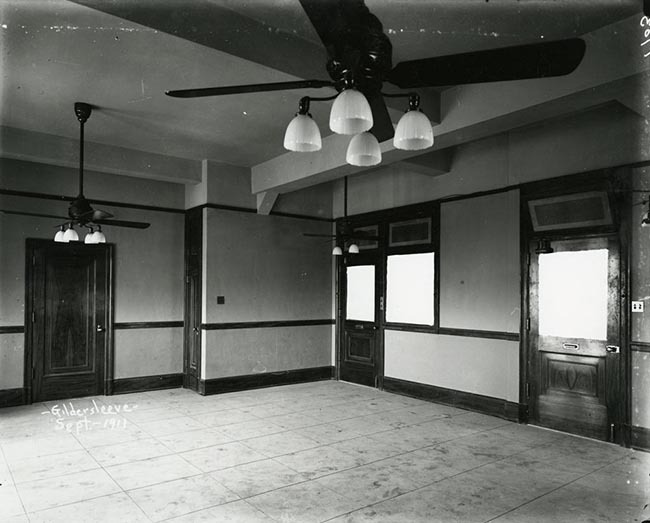 The fourth floor through the twentieth all contained the same floor plan for office spaces, while floors above the twentieth consisted mostly of storage space. The Amicable Life Insurance Company rented out much of the office space on the lower floors that it was not using to conduct business. 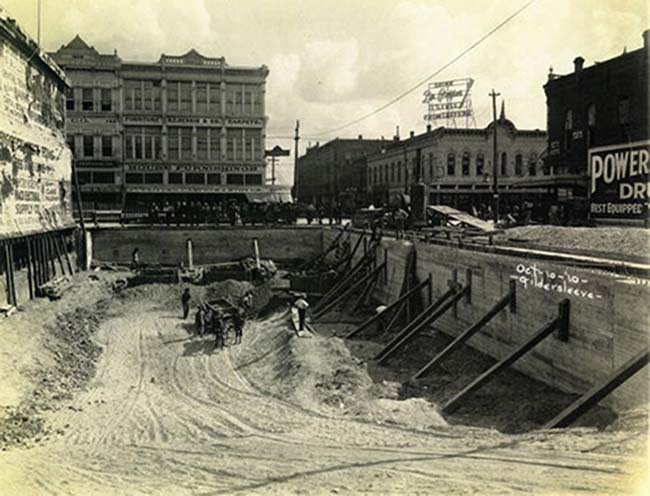 The building’s reputation and central location in downtown Waco made it the prime location to conduct business between 1911 and 1940. Doctors, lawyers, dentists, bankers, accountants, and merchants were some of the many tenants who leased space during these years. These offices helped achieve the type of publicity Artemas Roberts was aiming for in 1910. 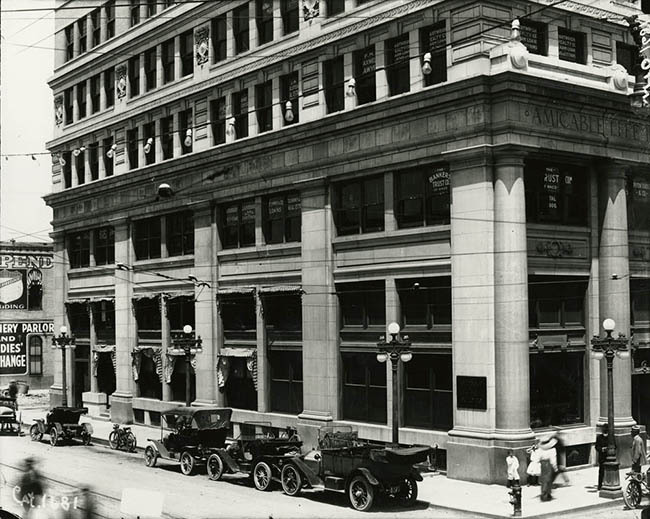 People came to the Amicable building not only to shop but often just to marvel at the building itself. 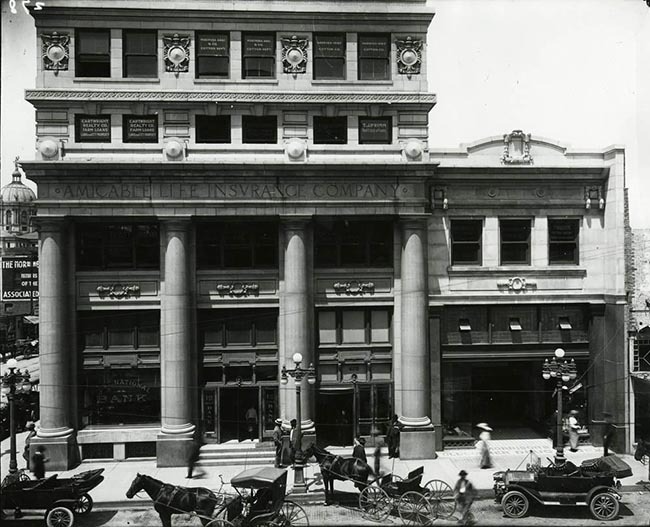 Around 1940, the Amicable Life Insurance Company began expanding rapidly and bought out most of the office spaces. From this time on, primarily ALICO and First National Bank Employees worked in the building. In 1953, the Amicable building’s architects’ vision for stability was put to the test when a deadly tornado tore through Waco. Employees in the building at the time the storm hit told of how they felt the building sway and recalled some individuals were even thrown against the walls. When they walked out on the street, they witnessed the collapsed buildings for almost a mile surrounding them. Just across Austin Avenue, the R. T. Dennis building lay completely flattened. Yet the damage to the Amicable building was primarily superficial, with only a few windows and skylights broken. The Amicable building became the crisis center following the tornado since no other downtown building had working electricity. The First National Bank on the ground floor housed the military and medical officials’ coordination of rescue efforts. In 1982, the Texas State Historical Commission designated the ALICO building a historical landmark. The state uses this program to commemorate and preserve sites which have impacted state history. In 1985, John Young with the Waco Tribune-Herald described the ALICO building as a “reference point for Waco" and a challenge for Waco’s future. 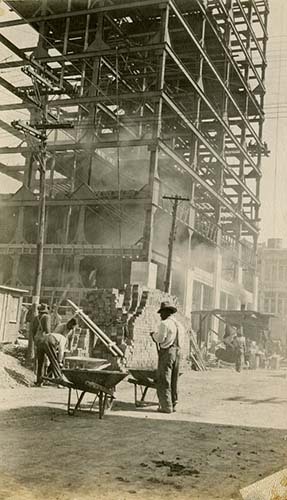 Young believed that the building acts as a call for the city of Waco to rise once again to the heights of success. The first of its kind in the Southwest, the ALICO building became the focal point of activity in Waco for generations. 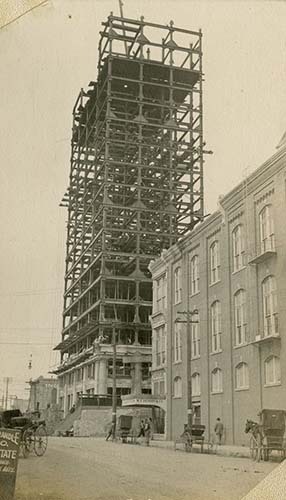 Today, the ALICO building still towers above the Waco skyline, holding the offices of the now American-Amicable Life Insurance Company of Texas, as well as providing office space for other businesses located in downtown Waco.